“You can’t go wrong with a dramatic red pout” -Vogue, India. Do you agree? 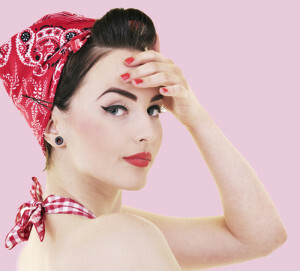 We’re looking at the perfect pinup girl lipstick for rockabilly girls. Women have been trying for centuries to perfect that red pout. In fact, did you know that the phrase “Kiss of Death” allegedly comes from a several substances Egyptian women were mixing together in order to create lipstick? Turns out the concoction was highly poisonous and often lead in death. Talk about a pinup girl lipstick fail! 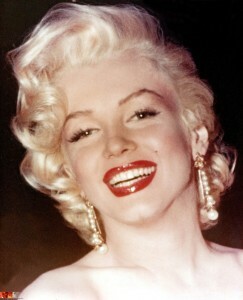 That isn’t the only time our beyond vintage vixens tried to make those classic red lips. Want to learn a pinup girl lipstick blast from the past? Back in the days of Mesopotamia, women used to crush semi-precious red stone and wear them on their lips. Cleopatra later made those berry lips easier, if not a little more disgusting to wear by crushing up a mixture of insects to get that perfect shade of red. It’s no secret that Henry VIII and Anne Boleyn’s daughter, Queen Elizabeth 1, was said to be one of the best ruler’s that ever lived. 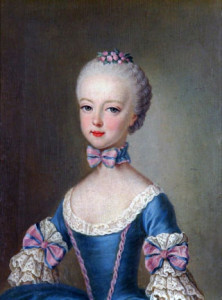 She was a fashion trendsetter, too! Back in the sixteenth century Queen Elizabeth made popular the practice of painting one’s face white and adorning a wicked scarlet lip. Instead of using poisonous ingredients, however, Elizabeth opted for beeswax and botanicals to get the shade she so desired. Unlike the English, the French believed the more red you wore – the better! In the 1700’s life as a makeup lover got extremely tricky in England. Back then, women were not to wear cosmetics before their wedding, as wearing makeup was wholly associated with prostitution. How a fabulous red lip went from being adorned by England’s most prosperous ruler to being something only worn by tarts is beyond mind-boggling! Before long the roaring 20’s were here and makeup was in full swing. The early days of pinup were upon the world. Flapper girls were in full bloom with their dark eye-shadows, elongated brows, fabulous dresses, and that signature vampy pinup girl lipstick. * For that perfect, nautical orangey red, try Heatwave by NARS and pair it with our gorgeous Punkabilly Bikini! * To achieve the most classic, even toned pinup girl lipstick, try Russian Red by MAC and pair it with our Pinup Flower Dress.